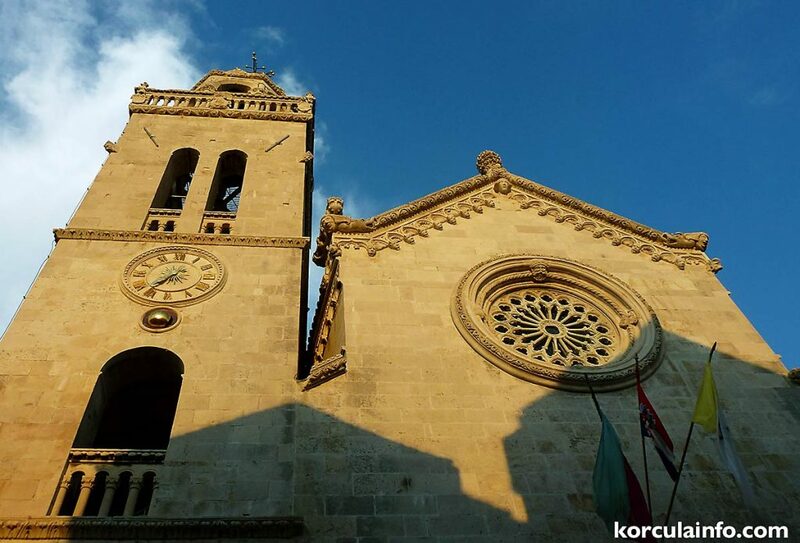 St. Mark’s Cathedral is probably the most important building in the Korcula Old Town. It is built in Gothic-Renaissance style, completed in the 15th century at the place of other church from 13th century. It was built by local masters and craftsman of stone masonry, very well known in renaissance and baroque Dubrovnik and Venice. Most famous among them was stone mason Marko Andijic who completed the cathedral’s tower and cupola (1481) as well as elegant ciborium above the main altar. Cathedral’s facade is decorated with the truly beautiful fluted rose and various relief and statues (photos), while the main door – portal is framed by statues of Adam and Eve and figures of lions. Inside the Cathedral there are two Tintoretto’s paintings. This is the largest Church in the city, oriented east-west. Here on the highest point on the peninsula and central square was a smaller Church most likely consecrated to the Mother of God. The construction of a new Church was the result of two factors: the establishment of the Diocese at the beginning of the 14th century and an economic boom caused by the development of stone masonry at the end of the same century. The construction of the Cathedral included portions of the old Church (apses) and public buildings that were already located on the square, such as the loggia and city bell tower. Construction continued through the entire century and several generations of local stonemasons and stone carvers cooperated in the project. 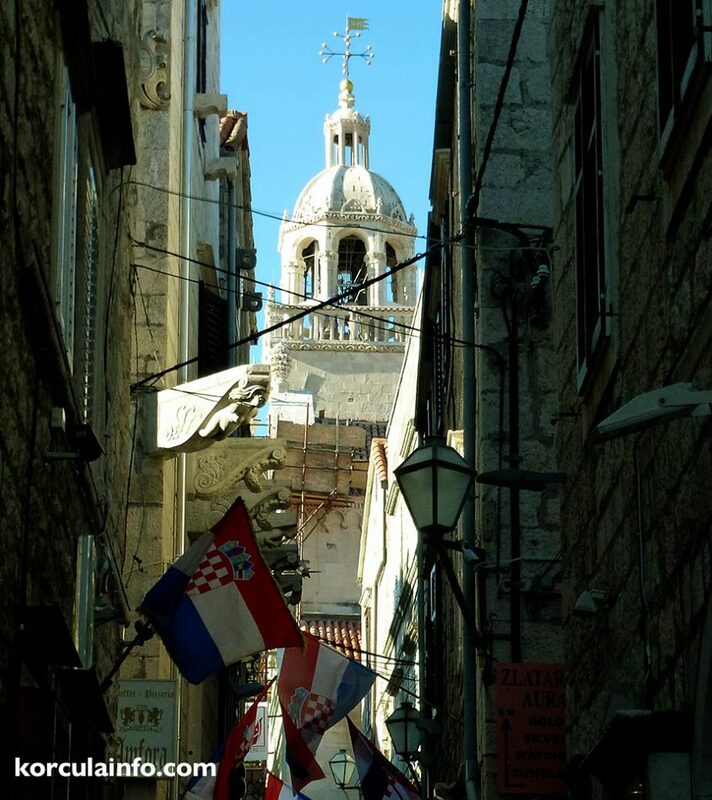 Alongside Hranic Dragosevic, Ratko Ivancic, Krsevan Bogdanic, and Andrija Markovic from Korcula who worked on the project, several individuals from Dubrovnik worked on the Church at the beginning of the 15th century: Ratko Brajkovic, Ivan Radnicic, and Andrija Petrovic. The documents mention two foreigners as well – Bonini from Milan at the beginning of the 15th century and Jacop Correra from the city of Trani around 1441. 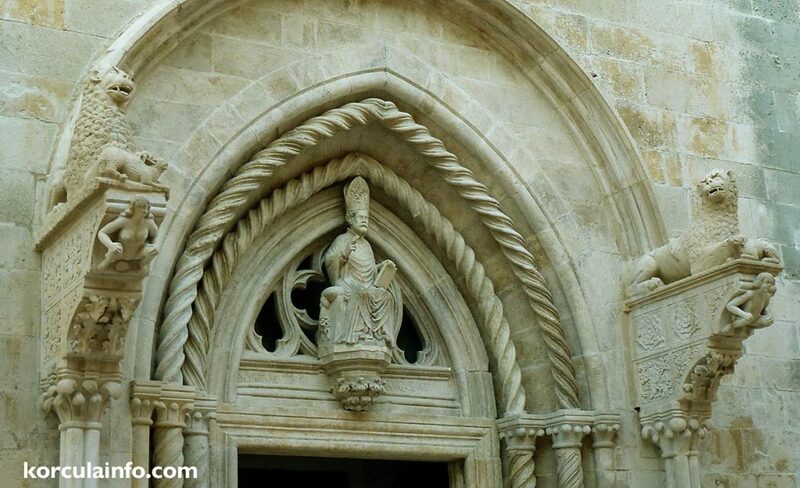 At the end of the century (1486-1492), the construction and decoration of the main facade, bell tower, and interior of the Cathedral were completed by the well known Andrijic stone masonry workshop in Korcula and its most distinguished member, Marko. 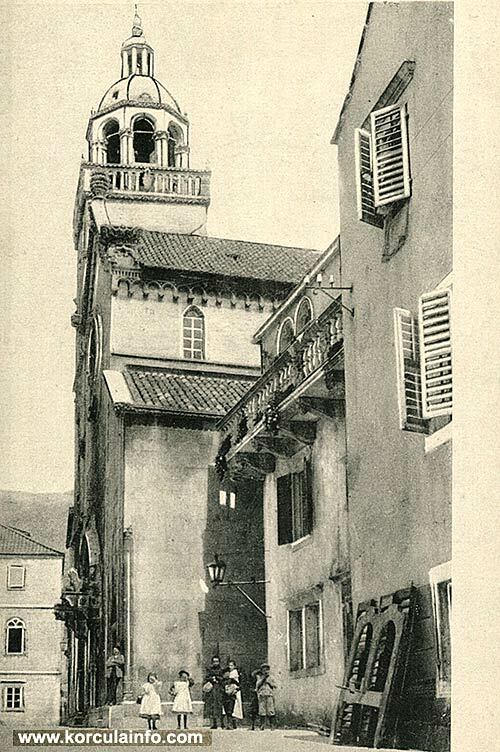 Not long after its completion in 1525, the Chapel of Saint Rok was constructed along the northern Church nave as a vow by the inhabitants of Korcula in honour of the black plague that was frequently ravaging the city. The Chapel was planned and partly constructed by Marko Pavlovic Milic from Korcula. The Chapel appeared as though it was a fourth Church nave as it was opened towards the Church with columns and arcades. Sometime before that, a spacious sacristy was added to the north-eastern side of the Cathedral. 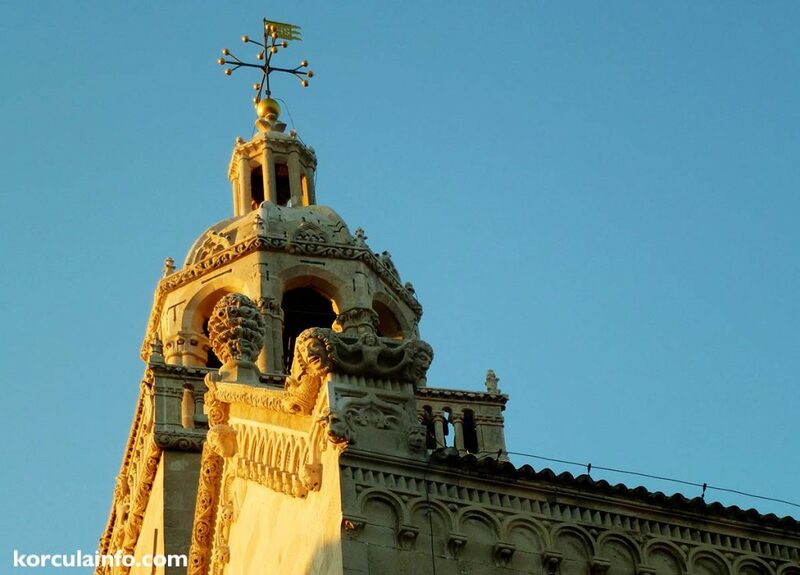 This four-minute video that shows views from the top of the tower of St Mark’s Cathedral in Korcula was taken by Jakov Marelic in September 2012.